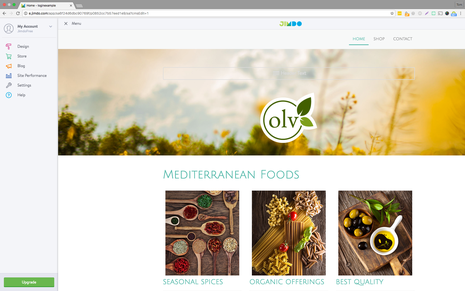 To log into your website, first open it in a browser window and then scroll down to the bottom of the page. In the lower right-hand corner, click on "Log in." Paid users have the option to hide the login link, which makes your website look a bit more professional. 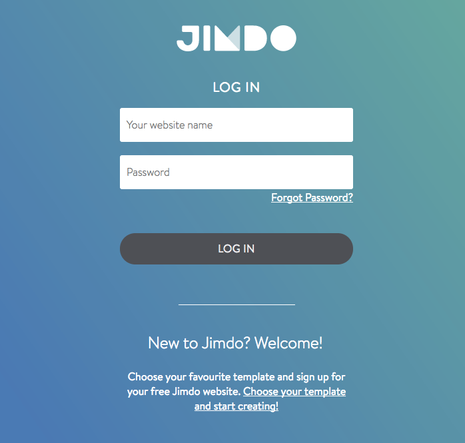 When this link is hidden, you can log in to your website by adding "/login" to your website's address (http://yourwebsite.jimdo.com/login). You can toggle between Edit and View Modes by clicking on the View Mode icon at the top right of your browser window while logged in. There is also a View Mode link at the bottom right of your web page — you can use either one. 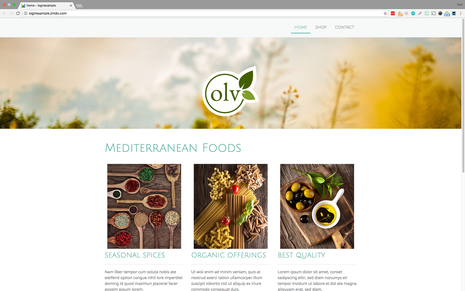 You'll notice that the website address will display differently when you are in Edit Mode—it will appear as a long line of numbers and letters rather than your usual URL. Remember that if you want to share your website with others, always use the real URL address that appears in the browser when you are in View Mode. Any changes that you make to your website are immediately available. There is no need to publish your website. If you would rather keep your website private while you work on it, check out Under Construction Mode.